Close apps in Windows 8 that are not in use to increase productivity. Use an easy shortcut to do so. Learn more! If you are doing so within the application, use the following steps to close it. Shortcut: Press “Alt + F4″ to close the app. Move: Hold down the mouse button and drag the top of the app window to the bottom of the screen. The app will exit. 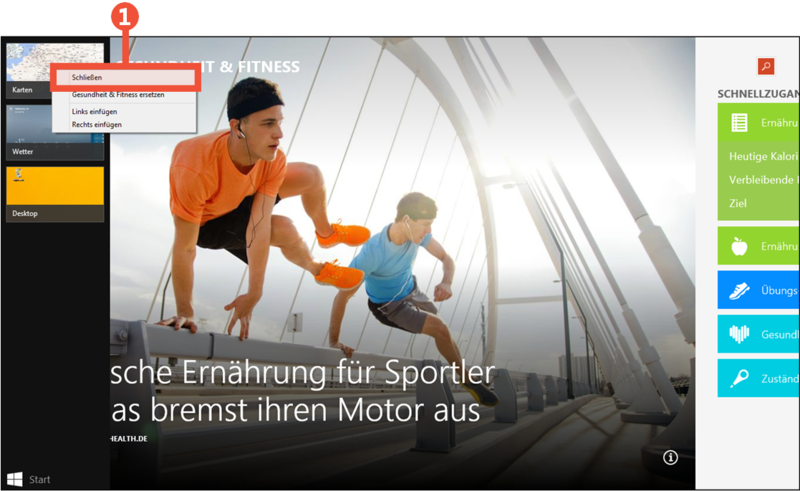 App List: Mouse over the top left corner, it opens a list of all running apps. Right click the app and select 1 ‘Close’ to terminate the corresponding app. This also works if they are located on the Start Screen. If you briefly want to use a different application but still need another that you are working on, simply minimize it without having to shut down the full program. You are now back on the Start Screen. This way you can have multiple apps running in the background. The described above app list displays all currently running apps, so you always have the necessary overview. You can also fully close any app when needed. It is very easy to close apps in Windows 8, as it is similar to previous functions used on earlier operating versions with programs. Once you get comfortable with using the Windows apps, you will quickly discover the possibilities and ease of use. DarWin8 is one of those useful applications, and helps you transition to Windows 8 easily. Find it in the Windows Store and try the free trial now.